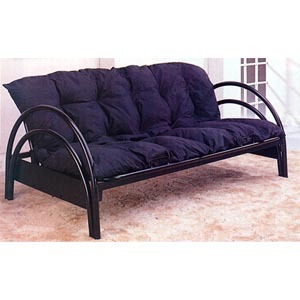 Satin Black Double Arch Futon Frame. Easy To Assemble. Strong Construction. Dimensions: 79-1/2 In.(L). X 54 In.(W). X 32 In. (H).